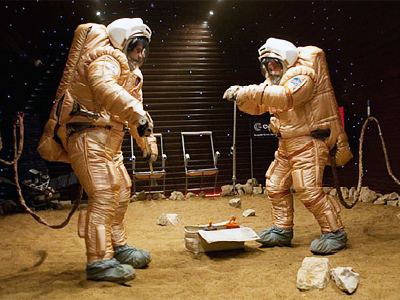 Two space travelers are walking on a mock-up version of the surface of Mars – as part of a unique project simulating a trip to the Red Planet. It is the 260th day of the 520-day experiment. ­The aim of the program is to replicate the exact conditions of a return journey to Mars. The crew members – three Russians, two Europeans and a Chinese – have been locked up in a mock spaceship for nine months now with very little contact with the outside world. They landed on a model of the Martian surface last week and have already walked on it once. 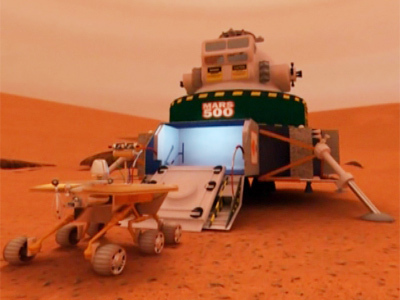 According to Rene Pischel of the European Space Agency’s permanent mission in Russia, three “Mars walks” are planned in total, each about two hours long. 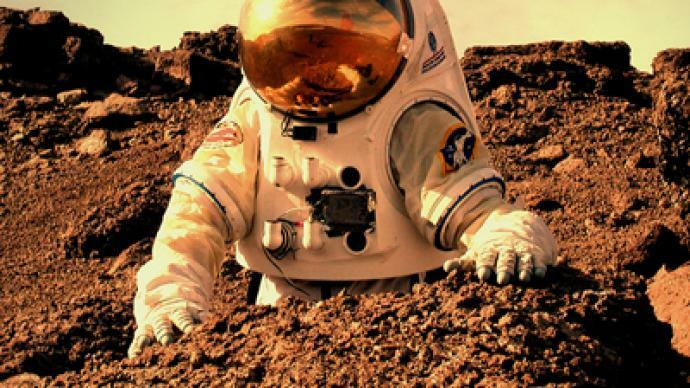 The aim of the simulation is to assess human behavior on the Martian surface after a long flight and while wearing protective heavy spacesuits – 35 kilograms each. “Of course, we cannot simulate the gravity situation on Mars, but everything else is pretty similar to what we expect on Mars,” he told RT. Two men – out of the crew of six – have started their “Mars walk” and are collecting samples. The samples will then be put into special devices for transportation back to Earth. In the real mission, Pischel explained, some crew members will remain in the spaceship to support those walking on the planet’s surface. Despite the United States making one of the biggest contributions to space exploration, NASA astronauts are not part of the Mars crew. According to Dr. Pischel, there is no specific reason. 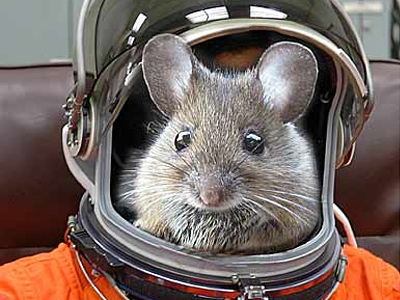 The ESA representative did not estimate when a real mission to the Red Planet would be possible. “Technically, we have pretty much everything which is needed there, but it is quite demanding in terms of money… I would say we are pretty far from it,” Rene Pischel concluded.